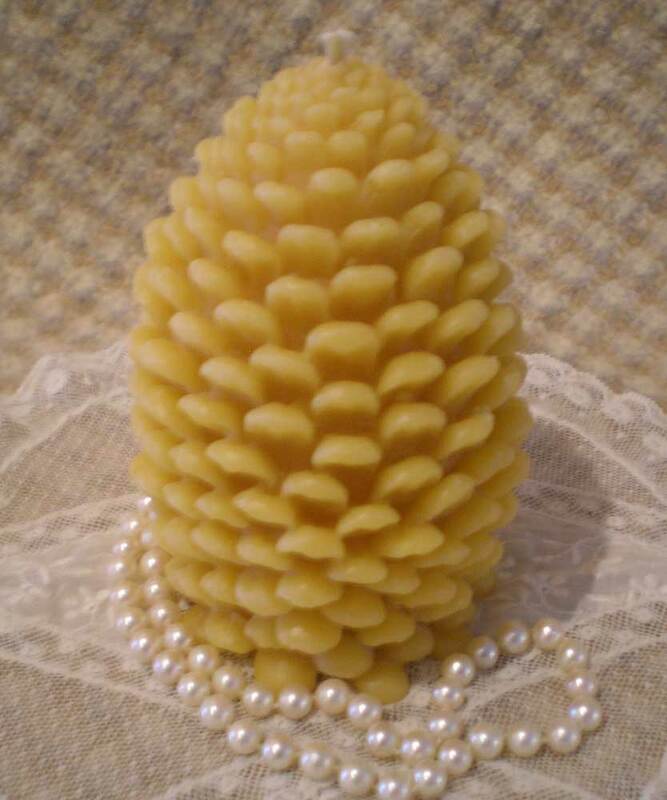 This so realistic Pine Cone Candle measures a big 3 1/2 ” in diameter and 5″ tall. This is a weightly, substantial candle and it burns like a pillar. It is molded from nature from a real pine cone and would look fantastic on your harvest or holiday table, or anytime. 100% cotton wick. Burn time approximately 40 hours plus. This is our most popular candle during the holiday season!